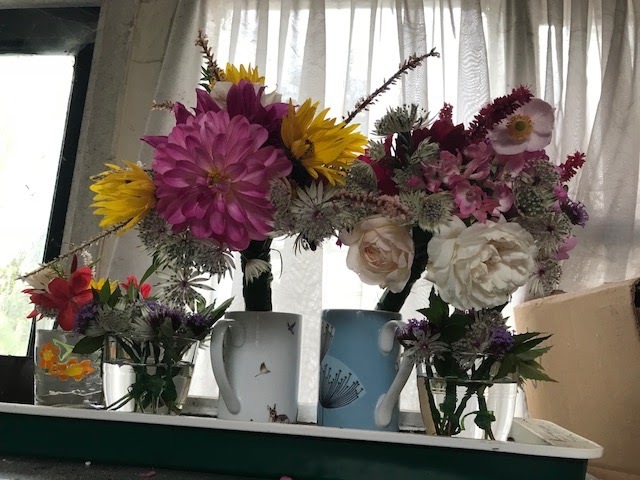 The long awaited wedding day arrived in mid-October and not only did the flowers have to be ready, but I had to be able to make them up into the required bouquets and buttonholes. This meant that practice was needed. 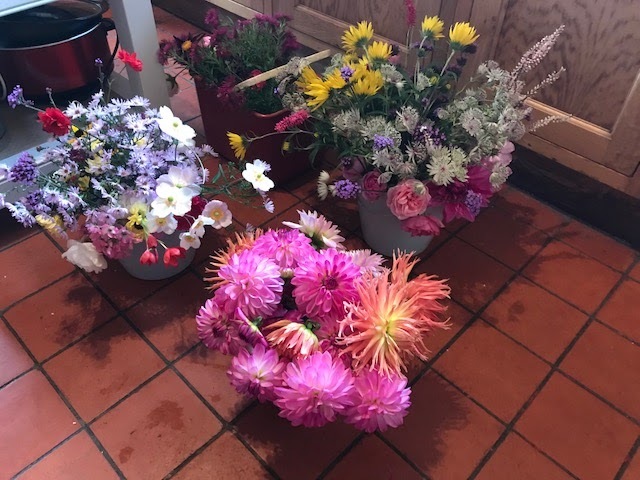 My friend Karen arrived one evening with buckets of flowers from her garden so that none of my precious flowers would be wasted. 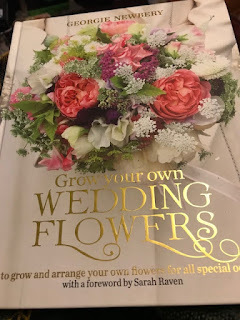 We spent a happy couple of hours drinking tea, practicing making bouquets and buttonholes. Lots of good advice was given and I was left feeling more confident about the task in hand. A couple of weeks later and it was time to get started with the picking. There was lots of picking. I picked just about every flower it was possible to pick. 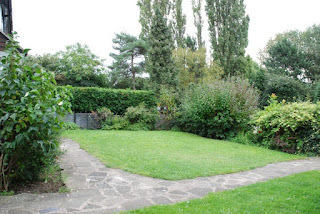 My garden looks like it had been ravaged. I picked the flowers on the Thursday evening so they could rest quietly over night. Then on the Friday I set them out in the kitchen ready to set to work. I made two distinct bouquets to try and reflect the different brides. My daughter's bouquet included a Portmeirion rose and a Ballerina rose, both of which are special to her. There was also a Dahlia Waltzing Matthilda, her favourite dahlia. For the other bride the hoped for tiger lilies failed to last long enough, much to my annoyance. I did manage to include roses and also some perennial sunflowers that were as close to daisies as I still had in the garden. Several dahlias were used in both bouquets and astrantia provided the frothy understory. I was very pleased with them when they were completed. They were put into the cool utility room to have a nap until they were needed. Then the buttonholes and the corsages needed constructing. 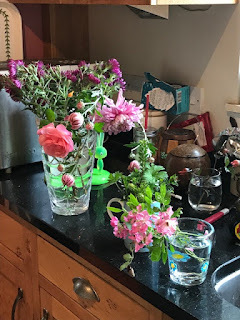 I did a corsage for myself and the mother of the other bride, foolishly I did not photograph them but they were rose buds with astrantia, some heather and a small perennial sunflower. I was pleased with them. The buttonholes were made of fuchsia foliage, astrantia and verbena bananarama. Attached to them was a Warhammer 40k space marine. 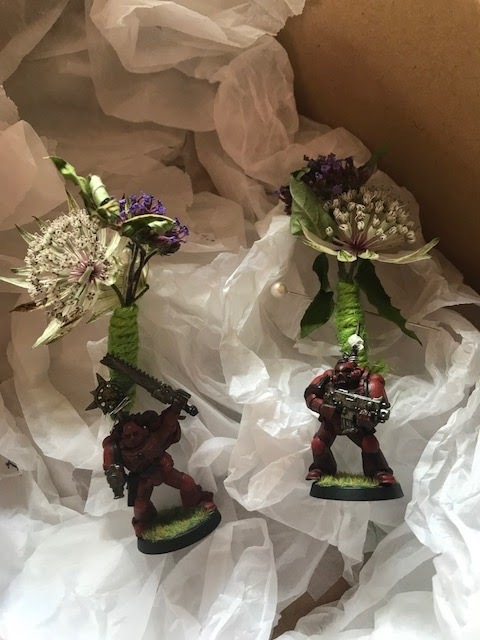 My daughter and her wife are very keen Warhammer players and I wanted to do something that would be personal to them. I was quite pleased with myself for finding the right type ready-painted on eb*y. I did not tell them that I was going to do this, I wanted it to be a surprise. On the day they were a good surprise and everyone seemed to love them. I was chuffed. But I am getting ahead of myself. We arrived in Nottingham in good time and waited by the lions (the left lion) for Rose and Naomi to arrive. It was an unusually warm day for the time of year but it was a little breezy and I was scared that the flowers would get damaged by the breeze. 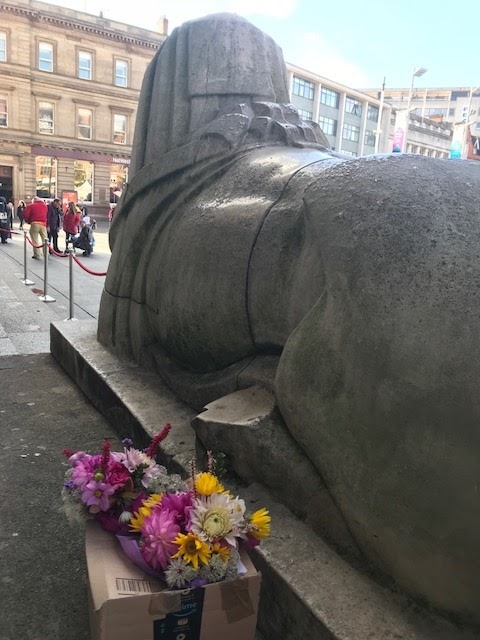 I popped them onto the plinth behind the lion to shelter them from the wind. 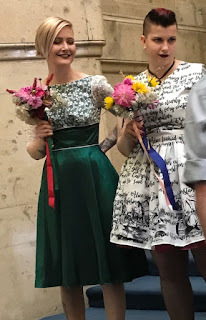 The ceremony was held in the Council House and it was all very lovely. I managed, just, not to cry. 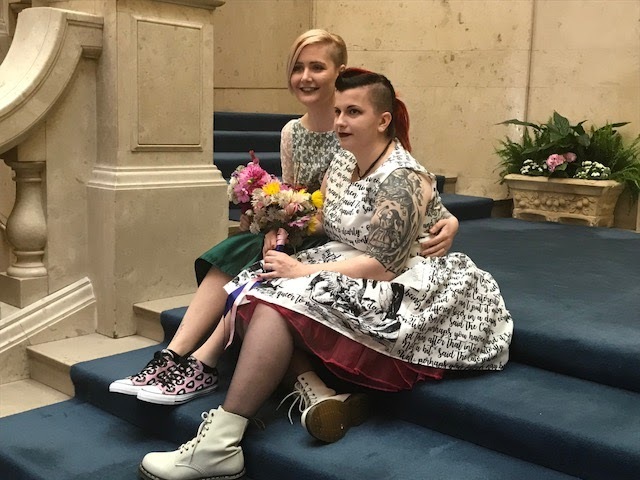 Rose and Naomi looked stunning and the flowers behaved themselves by not starting to shed petals until the ceremony was over. I was so proud of Rose and Naomi and totally overwhelmed with how special the day was for them. A definite proud mum moment. 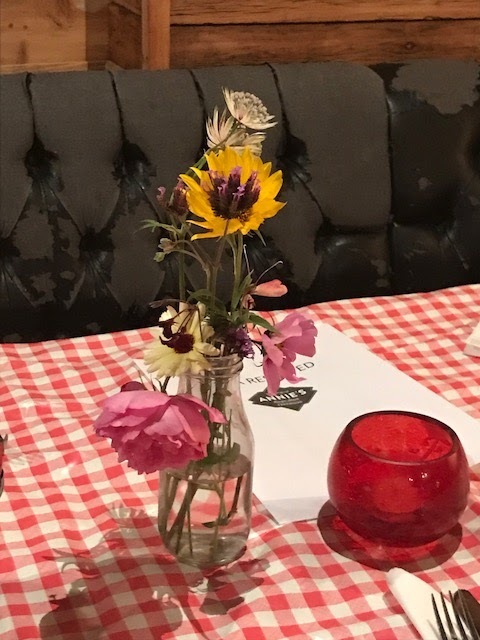 My final flower task was to make up some small flower posies for the tables when we went for our meal. 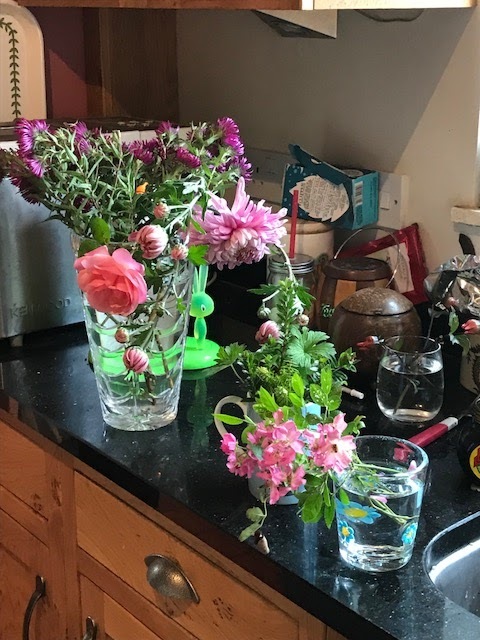 I arranged carefully (plonked) a few of the left over flowers in some small vases and they looked rather pretty. ......which I read often and was the reference book of choice. 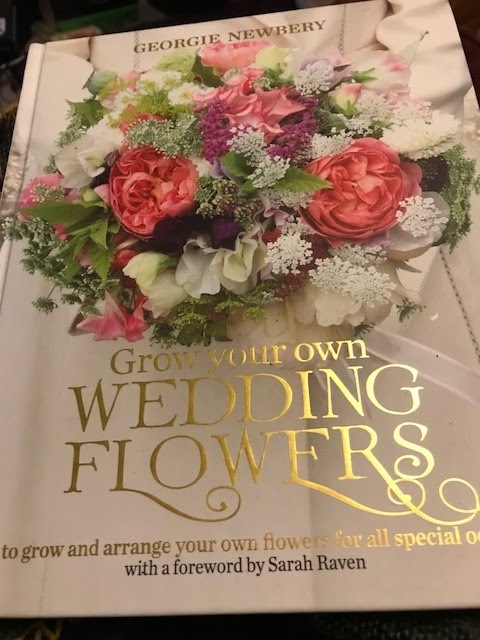 I can fully recommend it if anyone is thinking of growing wedding flowers. It is sensible and calming, two very important things. 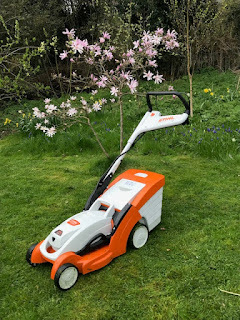 I was also helped by lots of twitter friends, who gave me lots of good advice, even met with me to talk me through what I needed to consider, and generally were like my virtual cheerleaders encouraging me at every step. The day, most importantly, was Rose and Naomi's, I wish them both a long and happy marriage. Alison, this was worth the challenge it all looks great! Congratulations to the married couple. And...breathe! Well done! The brides look fab. 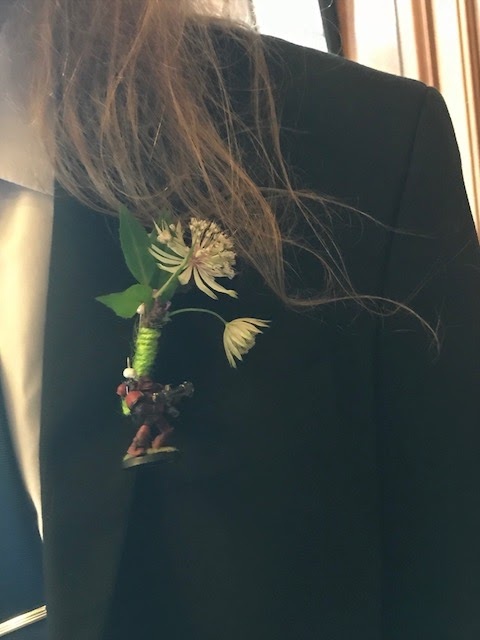 I particularly like the warhammer buttonholes. I have redundant warhammer characters lurking in some of my pots still and I enjoy meeting them in their new life. Congrats to all of you! Thanks :) Maybe we should start a rehoming project for old warhammer characters? They have new useful lives they could live in our gardens and as buttonholes. Beautiful brides and bouquets Alison. You must have been delighted with the results of all that sowing and growing. The finished product was a most special gift full of love. Wishing your daughter and her partner many happy and healthy years together.